The Cassini space probe will end its mission early Friday morning. After 13 years orbiting Saturn, traveling some 4.9 billion miles total, Cassini will plummet into Saturn in a matter of minutes, vaporizing as it enters its atmosphere. Arizona State University’s David Williams, an associate professor in the School of Earth and Space Exploration and a NASA supported scientist, knows Cassini well. While not a member of the Cassini Science Team, Williams supported the team in developing the concepts and techniques for making geologic maps of Saturn’s moon Titan from Cassini’s images. He has followed the Cassini mission since its beginning, and has worked with a number of Cassini scientists. 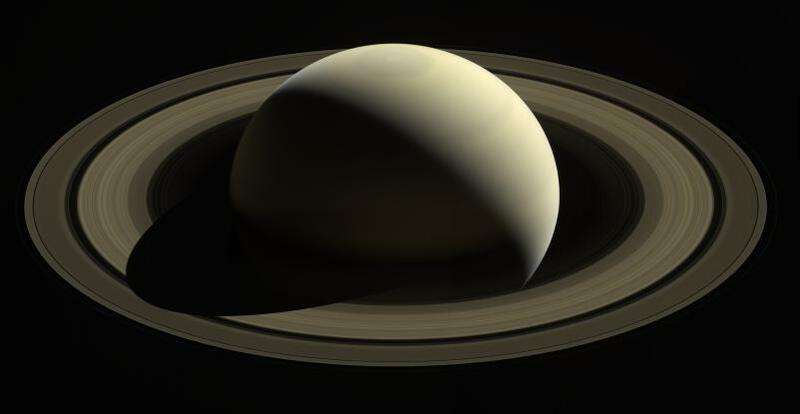 Question: What did we know about Saturn and its moons before Cassini? Answer: Prior to the Cassini mission, Saturn had been largely explored by Earth-based telescopes, and quick flybys from NASA’s Pioneer 10 and 11 (1970s) and by Voyager 1 and 2 (1980 and 1981) spacecraft. These missions showed some complexity existed in Saturn’s atmosphere and ring system, and that it had a series of heavily cratered icy moons with some surface variations. But those flybys did not provide detailed information about Saturn and its moons. So NASA began plans soon after the Voyager flybys to develop a Saturn orbiter mission, which became Cassini. Q: How has Cassini redefined this view of Saturn and its moons? A: The Cassini mission has greatly expanded our knowledge of how dynamic Saturn, its rings and its 62 moons are as planetary objects. Cassini has shown that Saturn has a very dynamic atmosphere similar to Jupiter’s, with giant storms that periodically erupt in its clouds. It has a dynamic northern polar region with an unusual hexagon-shaped cloud pattern surrounding a hurricane-like eye at its center. The storm is equivalent in size to four Earth’s. Cassini showed that Saturn’s rings are composed of icy particles, some as large as office buildings, and some as small as smoke particles. Many of the small moons orbit within the ring plane, contort and distort the rings into dynamic patterns. And Cassini has shown that Saturn has geologically active moons. Two in particular, Titan and Enceladus, have altered our understanding of planetary objects. Both have liquid water oceans in their interiors. Enceladus erupts geysers of water vapor and organic materials from its south pole, and Titan has both wind-formed dunes and lakes and rivers formed by flowing methane. Q: Why is this important to those of us on Earth? A: Cassini has shown that Earth-like atmospheric and geologic processes are not restricted to the Earth, or Mars and Venus, but can occur on icy worlds and in the cold outer reaches of the solar system. It has shown that the ingredients for life can exist in more varied ways than we previously understood from studying the Earth alone, and it has expanded our understanding of the universe. Q: What is the legacy of the Cassini spacecraft? A: Cassini’s 13-year-long study of the Saturn system has set the stage for what’s next in planetary exploration. The knowledge gained, and the experience of the scientists and engineers has prepared them for the next major flagship mission to explore the outer solar system, the Europa Clipper mission, which will launch in 2022 to orbit and explore Jupiter’s icy moon Europa, which has a liquid water ocean underneath its icy crust. Faculty and students in ASU’s School of Earth and Space Exploration will be building instruments and analyzing data for that mission in the next decade and beyond. Q: Are you sad to see Cassini go? A: Yes, I am sad. It is always sad to see the end of an era of exploration. But new exploration awaits. With luck, Cassini’s discoveries will enable new missions back to Saturn, and new discoveries, in coming decades.